MALLORY, BENAJAH, colonizer, businessman, militia officer, politician, justice of the peace, and army officer; b. c. 1764 in the American colonies; m. first Abia Dayton, and they had five children; m. secondly Sally Bush, and they had no children; d. 9 Aug. 1853 in Lockport, N.Y.
Benajah Mallory may have been the son of Ogden Mallory, an early settler of Wells, Vt, where Benajah was living at the outbreak of the American revolution. He later enlisted in the local militia as a private and saw action in several battles. According to American historian Orasmus Turner, Mallory was the “first merchant” in the Genesee country of western New York State. He settled in the community founded there in the late 1780s by the followers of Jemima Wilkinson. He was drawn, no doubt, by an “anticipated” connection to the daughter of one of the sect’s prominent members, though Mallory apparently never shared the religious tenets of the group. In 1792 he was listed as an ensign in the Ontario County militia. 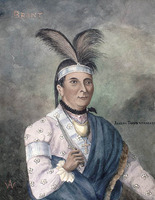 His father-in-law, Abraham Dayton, was interested in obtaining the grant of a township in Upper Canada near the Grand River lands of the Six Nations. In 1795 he and his associates, including Mallory, settled in Burford Township. Within a year Mallory had built a house and established a tan-yard, “at a great expence with other Improvements.” Bedridden from the outset, Dayton died in 1797. Mallory assumed the leadership of the small community of 21 settlers and went to “much Expence towards opening and settling” the township. He hastened to report his intention to bring the number of settlers above the 40 required under the terms of the grant. It was, however, to no avail. 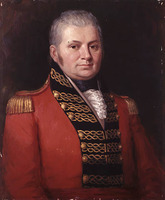 Lieutenant Governor John Graves Simcoe* had become disenchanted with his experimental system of making township grants, and his successor, Administrator Peter Russell*, was determined to rescind them. The Burford Township grant reverted to the crown, but actual settlers were individually confirmed in their lands: Mallory was granted 1,200 acres and his wife was recommended for 200. Surveyor General Smith was the dominant influence in the area. His decision not to seek re-election to the House of Assembly opened the way for a formal political challenge to the office-holding élite. Mallory and Ryerse contested the riding of Norfolk, Oxford and Middlesex. In May 1804 Selkirk commented, “Electioneering seems here to go on with no small sharpness – his [Mallory’s] adversaries threw out some allegations to which he replied by the Lie direct – and he alledges they pursued him with a view to assassinate.” Mallory’s victory, 166 votes to 77, only exacerbated factional strife, which soon erupted in the Court of Quarter Sessions. After shots had been fired into his home in January 1805, Mallory claimed the attempted assassination to be the work of Ryerse or John Backhouse, a justice of the peace; Ryerse, in turn, implied that Mallory had had the shooting staged. The affair degenerated into a skein of charge and countercharge, which spilled over from quarter sessions into the Court of Kings Bench, where ultimately the affair came to naught. Mallory’s initial impact on the assembly was negligible; he was, at best, a secondary figure. His support of William Weekes*’s motion of 1 March 1805 to consider “the disquietude which prevails . . . by reason of the administration of Public Offices” indicated his attraction to the fragmentary opposition in parliament. In the session of 1806 he brought up a petition for the relief of Methodists in their want of full enjoyment of civil and religious rights. More important to him was Ryerse’s charge that he had been “illegally and unduly returned,” being “a preacher and teacher of the Religious Society or Sect called Methodists.” In 1807 the charge was dismissed by the assembly for want of evidence: Ryerse had simply been unable to marshal his witnesses in York (Toronto). Some, however, such as Richard Cartwright, who was then a legislative councillor, claimed the charge was true. In 1808 he was re-elected for Oxford and Middlesex. Throughout the fifth parliament (1809–12) the opposition became more cohesive. By 1811 Mallory was, with John Willson, one of Willcocks’s foremost supporters. They worked together on a range of measures popular with the opposition; they unsuccessfully attempted, for example, to pass a bill restraining sheriffs from packing juries and another preventing government officials from sitting in the assembly. They cooperated too in adopting potentially popular positions on other measures: they opposed the bill to relieve creditors with absconding debtors, voted to reconsider the state of loyalist and military grants, and opposed changes to the Militia Act of 1793. On the one hand, it seems probable that Mallory was politicized by his career as an assemblyman. On the other, he himself felt harassed by members of a vindictive provincial administration. On 15 Jan. 1807 Richard Cartwright had won a massive judgement against Mallory for debt – £1,887 17s. 0d. and costs. No doubt the judgement had an effect on Mallory, for the following year he sought a lease of Six Nations land where he had discovered iron ore and planned to build an ironworks. He eventually leased about 1,460 acres, but nothing was erected. In 1810–11 he lost three cases involving debts, one for a staggering £1,000 and costs, and two parcels of his land were seized. and sold to pay his debt to Cartwright. He was referred to in one case as “late of Burford, now a merchant and farmer.” In 1810 he was acquitted of assaulting a sheriff. Mallory later claimed it had cost him “near” $2,000 just to defend himself; financially, he was ruined. The old élite had withered in the face of popular opposition. In the ensuing election Mallory was opposed by Mahlon Burwell*, a close associate of Thomas Talbot, whose base of power was rooted in what amounted to a personal fiefdom. This alliance was determined to bring Mallory to heel. Years later Asahel Bradley Lewis* alleged that the hustings for Oxford and Middlesex in 1812 had been located in “an entire wilderness. So that Mallory and his friends were obliged to travel nearly 60 miles through the woods, to the poll, – there they found the ‘Father of the Settlement’ [Talbot], providing votes for his favourite . . . by furnishing all who were willing to support the claims of the Young Aspirant to office, and who were not already qualified – with location tickets.” Mallory derided this tactic as “the most blackest and unConstitutional Designs” and urged electors to “Repell oppression accompanied with tyreney.” His effort, however, proved futile and Burwell was returned. Disaffection and treason are among the major themes of the War of 1812 and its effect upon Upper Canada. The population was overwhelmingly non-loyalist American; most, probably, were indifferent to the outcome. Some, such as Michael Smith*, returned to the United States while others, Ebenezer Allan* and Andrew Westbrook* among them, were immediately seditious; a few, such as Elijah Bentley*, sought the most propitious moment to declare their real loyalty. But the most sensational cases – Willcocks, Mallory, and Abraham Markle* – fall into none of these categories. Each man had had a record of political opposition, but only in the summer of 1813 did any one of the three become actively disloyal. Their treason then has to be understood in the light of changes taking place within the province at that time rather than by interpreting treason as the logical outcome of persistent opposition. Brock had used both Willcocks and Mallory as emissaries to the Six Nations; moreover, Willcocks had served at the battle of Queenston Heights in 1812. 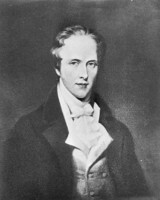 In 1829 Francis Collins* referred in the Canadian Freeman to a statement made in the assembly by Robert Nichol that Willcocks had been “forced from his allegiance by a vile conspiracy against his life.” Collins reported that this “assertion was supposed by many” to mean the actions of Judge William Dummer Powell*. Like Willcocks and Markle, Mallory could argue that he too had been persecuted, but by none other than Nichol. At some point early in 1812 Mallory protested to Brock that “many caluminous reports has been advanced to you by a mr Robert Nicol and Some of his Coagiters loath against my Private and Public Character.” The reports had accused him of disloyalty, of attending “Public Meetings for bad Purposes,” and of having been prosecuted. Mallory denounced the charge of disloyalty but admitted that he had indeed been prosecuted. To him, however, the court actions, both civil and criminal, were tangible evidence of a persecution that had begun after his election in 1804. His public record as a magistrate and militia officer could not be impugned. He had, he said, encouraged the militia to adhere to the crown and offered to lead them “to Repel the Ravages or intrusion of an invading Enemy.” But he was never given the chance. As concern for maintaining the rule of law withered before the civil élite’s fear of disorder after the American occupation of York in the spring of 1813, the three leaders of opposition, one by one, crossed the border. Willcocks went over to the Americans in July 1813 and offered to raise a corps of expatriate Canadian volunteers “to assist in changing the government of this province into a Republic.” Mallory may have had some prior commitment to republicanism. Certainly what had begun 10 years previously as reaction to executive maladministration of government, when combined with his perception of military despotism in the summer of 1813, made him draw upon the only rhetoric of opposition that he knew, republicanism. Such language entailed a fundamental clash with the polity of Upper Canada. Mallory’s formal enlistment as a captain in the Company of Canadian Volunteers dates from 14 November; the same day he was reported to have been seen by Major William D. Bowen with a party recruiting on the Grand River. 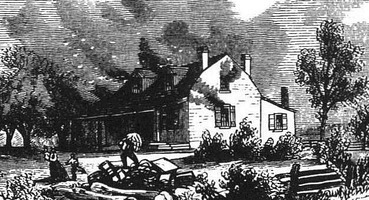 Following the burning of Niagara (Niagara-on-the-Lake) by the Americans and their retreat to Fort Niagara (near Youngstown), N.Y., Mallory was given command at Fort Schlosser (Niagara Falls), N.Y. In late December his detachment fought a spirited rearguard action against British troops advancing south after taking Fort Niagara. Mallory’s men again distinguished themselves at Black Rock (Buffalo) as the British continued their drive towards Buffalo. A transfer, however, was not forthcoming. Willcocks died in September and command devolved upon Mallory. He argued in vain for more arms and supplies. The Volunteers were hobbled by desertion and squabbling among the officers. 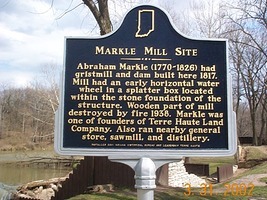 On 15 November Markle and William Biggar, an ensign in the Volunteers and possibly Markle’s son-in-law, charged Mallory with embezzlement and felonious conduct. He was suspended and Markle took command. Mallory attributed the accusations to “Malevolence and black Designs Proceeding from a black heart.” The corps was disbanded on 3 March 1815 although Mallory continued to serve in the army in some capacity until 31 July. In Upper Canada, Mallory had been convicted of treason at Ancaster in 1814 [see Jacob Overholser*] and his lands were later vested in the crown. He had sacrificed, as he put it, “both family & property.” According to Joel Stone*, his mother-in-law’s second husband, Mallory had joined the Americans “without the Knowledge or assent of his wife who was left in Canada with a family of five children.” She remained “sincere – as to her Congugal vows” and later “followed him when Sent for.” Mallory eventually settled in Lockport. On 1 Jan. 1829 a notice in York in the Canadian Freeman reported that he “has since figured in the Newspapers of his country as an adept in the art of converting the property of others to his own use, for which accomplishment he has been honoured with lodgings in a State Prison.” A letter of 28 March 1832 in the Western Mercury reported that Mallory, “one of the basest of the human race,” was “now lingering out his wretched existence in prison.” His wife remained with him throughout, struggling to support their family, “until she found that her said Husband . . . was,” according to Joel Stone, “if possible more criminally traitorous to herself than he had been . 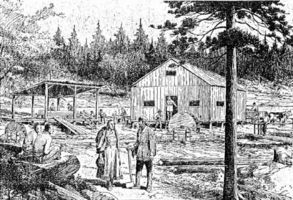 . . capable of being to both Governments.” She renounced him and returned to Upper Canada with her two youngest daughters to live with Stone and her mother in Gananoque. Early in January 1838 Mallory offered his services to William Lyon Mackenzie* and “the brave Patriots” on Navy Island. He drew a parallel between the traitors of 1813 and the rebels of 1837: he “had once Suffred from my takeing the Same Stand In the british Parliament in opposing dispotic tyrants.” Mallory later remarried and was baptized in Lockport in July 1853. He died there a month later. AO, MS 75, Thomas Welch to Russell, 31 Jan. 1805; MS 516: 1211–12, 1418–21, 1749–52; MS 522, memorandum respecting the District School Bill, 5 March 1808; MU 500, typescript letter-book, 258–61; MU 1836, no.491; RG 1, A-I-1, 55: 108–9; A-I-6: 2911; RG 4, A-1, box 2, file 30 May 1835; RG 22, ser.131, 1: f.153; 2: ff.7, 13–14; ser.134, 2: 272–73; 3, 13 Sept. 1804, 25 Sept. 1805; 4, 27 Sept. 1810, 19 Sept. 1811; ser.143, box 1, envelope 4 (King v. Benajah Mallory, 1814); ser.144, box 1, envelope 7. Brant Land Registry Office (Brantford, Ont. ), Burford Township, abstract index to deeds, ff.144, 183, 214, 216, 241, 245, 247, 271 (mfm. at AO, GS 1822); abstract of memorials, ff.1, 7–8 (mfm. at AO, GS 1821). Buffalo and Erie County Hist. Soc. (Buffalo, N.Y.), A439 (P. B. Porter papers), Mallory to Porter, 2 Sept. 1814. Conn. Hist. Soc. (Hartford), C. L. N. Camp papers, Mallory family genealogy. Eva Brook Donly Museum (Simcoe, Ont. ), Norfolk Hist. Soc. Coll., Thomas Welch papers, 955, 957, 982–83, 1037, 1051, 1055–59, 1068–69, 1949–50 (mfm. at AO). MTL, W. D. Powell papers, B32 (general corr. ): 70–71. National Arch. (Washington), RG 94, entry 125; RG 107, B284, I177, M73, W41, 281, 287, 300, 303; War of 1812, bounty land claim, Benajah Mallory; War of 1812, New York, Company of Canadian Volunteers, compiled service record, Benajah Mallory. Niagara County Surrogate Office (Lockport, N.Y.), will of Benajah Mallory, August 1854. ... PAC, MG 23, HII, 1, pp.1141–42, 1208–9, 1273–75, 1306–8, 1379–80, 1404–5, 1558–60, 1573–74, 1579–80; MG 24, G3, Samuel Ryerse, letter, 6 Jan. 1803 (photocopy); RG 1, E1, 48: 109–11 (mfm. at AO); E3, 47: 117–23; E14, 10: 95–96; L3, 328: M2/83; RG 5, A1: 846–48, 1299, 1478, 2514–27, 2802–21, 2943–44, 4413, 4658–59, 15313–17, 15383–85, 15516–17, 16431–37, 139820–23; B9, 53, 56; B25, 3: 52; RG 8, I (C ser. ), 681: 145; 1703: 83–86; RG 9, I, B1, 1: 408A; RG 68, General index, 1651–1841: 189, 418, 421. Doc. hist. of campaign upon Niagara frontier (Cruikshank), 1: 64–71; 4: 12–13; 8: 185; 9: 25, 118. [Thomas Douglas, 5th Earl of] Selkirk, Lord Selkirk’s diary, 1803–1804 . . . , ed. P. C. T. White (Toronto, 1958), 304–5. Heads of families at the first census of the United States taken in the year 1790: Vermont (Washington, 1907; repr. Baltimore, Md., 1966), 46. “Journals of Legislative Assembly of U.C.,” AO Report, 1911; 1912; 1914: 749, 775. Military minutes of the Council of Appointment of the State of New York, 1783–1821, comp. Hugh Hastings and H. H. Noble (4v., Albany, N.Y., 1901–2), 1: 217, 337. “Minutes of the Court of General Quarter Sessions of the Peace for the London District . . . ,” AO Report, 1933: 29, 32, 37, 60, 68, 70, 74, 76–77, 87, 94, 97, 113. New England Hist. and Geneal. Reg. (Boston), 7 (1853): 376. “Political state of Upper Canada in 1806–7,” PAC Report, 1892: 43, 53, 90–92. The Talbot papers, ed. J. H. Coyne (2v., Ottawa, 1908–9), 2: 136–37. U.C., House of Assembly, Journal, app., 1830: 157. Canadian Freeman ([York] Toronto), 1 Jan. 1829. Liberal (St Thomas, [Ont. ]), 29 Nov. 1832. Rochester Daily Advertiser (Rochester, N.Y.), 12 Aug. 1853. Rochester Daily Democrat, 23 July 1853. Spectator (St Catharines, [Ont. ]), 14 Feb. 1817. Upper Canada Gazette, 27 Feb., 4 May 1811. Western Mercury (Hamilton, [Ont. ]), 28 March, 5 April 1832. ... Rolls of the soldiers in the Revolutionary War, 1775 to 1783, comp. J. E. Goodrich (Rutland, Vt., 1904), 476. L. L. Babcock, The War of 1812 on the Niagara frontier (Buffalo, 1927), 126. Brian Dawe, “Old Oxford is wide awake!” pioneer settlers and politicians in Oxford County, 1793–1853 (n.p., 1980). R. C. Muir, The early political and military history of Burford (Quebec, 1913). 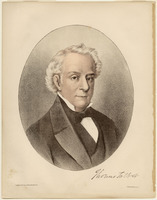 Patterson, “Studies in elections in U.C.” Orasmus Turner, History of the pioneer settlement of Phelps and Gorham’s Purchase, and Morris’ Reserve . . . (Rochester, 1851; repr. Geneseo, N.Y., 1976). H. A. Wisbey, Pioneer prophetess: Jemima Wilkinson, the publick universal friend (Ithaca, N.Y., 1964), 62–63, 84–85, 88–89, 100–1, 110–12, 116–17, 128–29, 182–83, 222–23. G. E. P. Wood, A history of the town of Wells, Vermont, from its settlement, with family and biographical sketches and incidents ([Wells, Vt.], 1955), 6, 17, 67, 88–94, 115–16, 130–31. E. A. Cruikshank, “Notes on the early settlement of Burford,” OH, 26 (1930): 380–89. 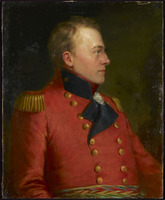 D. E. Graves, “The Canadian Volunteers, 1813–1815,” Military Collector & Historian (Washington), 31 (1979): 113–17. R. C. Muir, “Burford’s first settler, politician, and military man – Benajah Mallory,” OH, 26 (1930): 492–97. W. R. Riddell, “Benajah Mallory, traitor,” OH, 26: 573–78. Robert Lochiel Fraser, “MALLORY, BENAJAH,” in Dictionary of Canadian Biography, vol. 8, University of Toronto/Université Laval, 2003–, accessed April 20, 2019, http://www.biographi.ca/en/bio/mallory_benajah_8E.html.